The yearbook will be on sale from January 30th for €20 but will be available to past pupils attending the annual dinner for a special price of €10. We will soon announce prices to include post and packing including to overseas addresses and a convenient method of payment directly to the PPU bank account. It is not too early to order your copy or copies now; simply email your name and full postal address together with quantity of books required to jim.conway7@gmail.com. If you have family members or friends living abroad you can order for them too and we will mail directly to them in due course. 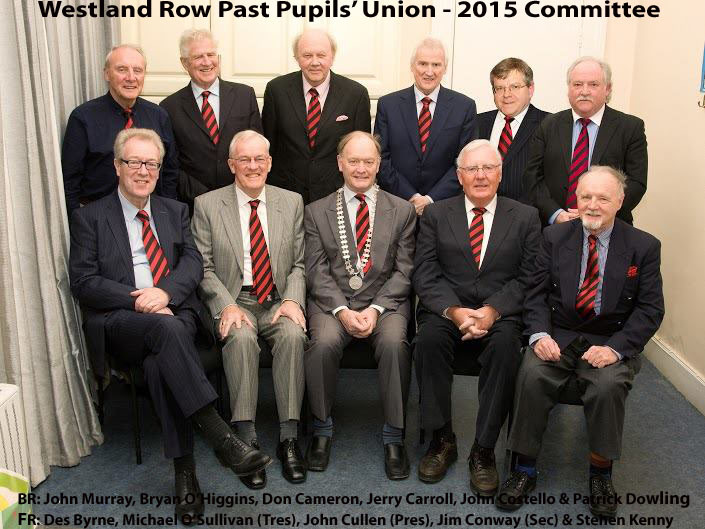 The Past Pupils Union is delighted to announce that Brian Whelan has been selected as Row Person of the Year 2016. Brian left the Row in 1969 to start work in the long established and well known camera and photographic business, Bermingham Cameras in Burgh Quay. Brian’s interest in photography had prompted him to seek holiday work in the shop over a few years and when the offer of a permanent position cropped up he jumped at it. The business went from strength to strength and Brian was made Manager in 1978. He acquired the business fully in 1997. The business continues to prosper and is now managed by Brian’s son. Brian married Marian in 1979. They have one son and three daughters. Brian will be presented with the P.V Doyle Memorial Trophy(the 39th. recipient) at the annual dinner at the Westbury Hotel on Saturday January 30th. Our 150th. Anniversary Publication (we are calling it the “Yearbook”) is taking shape and we are confident that it will be on sale at the Annual Dinner on January 30th. The Yearbook will run to about 260 pages and is packed with photographs as well as information on a wide variety of events, historical, sporting, personalities etc. connected with the school over its long history. Full details of how to order your copy will soon be available and we are hoping that many past pupils will pick theirs up at the dinner on January 30th. We have to thank everybody who contributed photographs over the years especially Patrick Dowling of Rock Photography and Johnny Murray. We have used many in the Yearbook but quite a few did not make it, so I am putting some up here and will publish more at a later date. 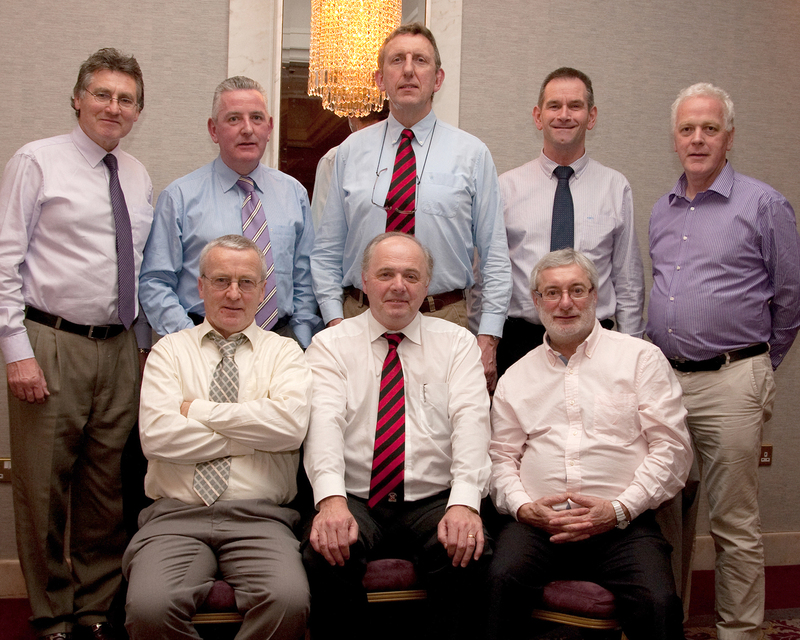 The photos below were taken at the OPEN EVENING on November 26th and at the Annual Mass for deceased past pupils on November 29th. Row PPU Golf Society President Des Donnelly and Don Cameron compare notes . Don is working hard on the follow-up novel to his thriller “Marked Off” which is still selling well. Rory Dodd and friend. Sorry not to have all the names but would be happy to fill in later if they are supplied. Brian in good company with some of his old friends. Hard working teacher – domestic science or what?